1/ This body language analysis is a re-post (Part III of III) regarding the Summit in Helsinki between Donald Trump and Vladimir Putin in July of 2018. 2/ The two men met for 2 hours 15 minutes w/ only their translators present. Afterward, the two men held a press conference. 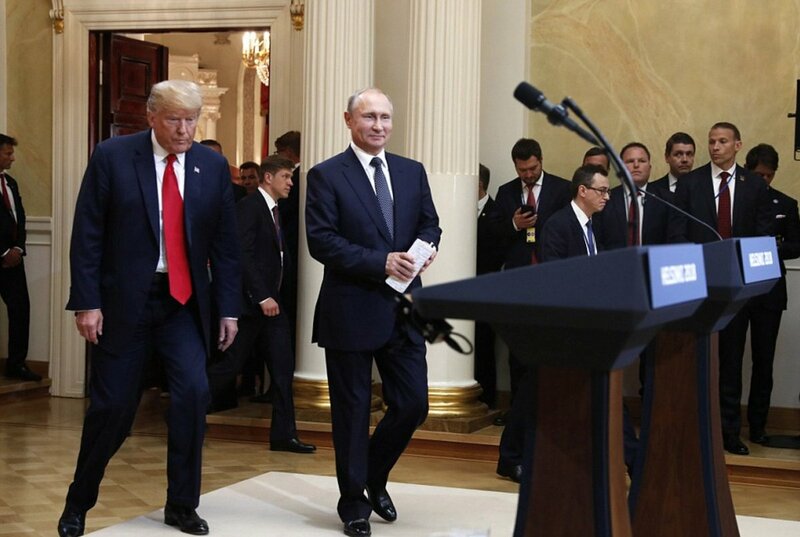 1/ This body language analysis is a repost of Part II of III last summer's Summit in Helsinki between Donald Trump and Vladimir Putin. The two men met for 2 hours 15 minutes w/ only their translators present. Afterward, the two men held a press conference. 2/ This analysis is focused on several key responses of Vladimir Putin and Donald Trump - as Trump is answering a question from Jeff Mason (Reuters). But they forget that Obama met Putin , Hillary and Bill got paid by the same people we now have under sanctions who are considered Putin stooges.. He is whispering stuff in her ear to make her wet in a way Bill never could. She is just pissed she doesn’t get to meet him again..